On a somewhat regular basis, I receive an email, post, letter or private message informing me, usually accompanied by a nearly audible sigh of disillusionment, that I "am not what they thought I would be." Siiiiiigh. I can hear the exhale of disappointment at the end of that sentence, or the similar sentence with the same message. Doesn't matter what the words are, really. "I thought you would be different after reading your books" is thematic of the correspondence. Depending on the sender's own character, the delivery of the sentence is either gently scolding or harshly critical. But the intent is always the same: to tell me I have let them down because I did not fit whatever version of me they had hoped to find. I am too edgy, too aggressive, I swear too much... or some version of those critiques. Fair enough. I am a public figure and I live out loud and my life is open to scrutiny because I allow it to be. But I have to wonder when I receive these letters, what, exactly, the disappointed masses are reading and why do they think I would be anything other than outspoken, controversial, embattled, and brash? Have they really read my books? I would like to examine this for a moment and I hope you will come with me, because it will make an important point, I promise you. In the eight years since The Expected One and its sequels were released, I have received tens of thousands of letters from around the world (the books are in 50 languages) telling me that my books have impacted, changed or even saved the lives of my readers. These letters are gifts beyond imagining, a price above rubies, more valuable to me than any royalty check can ever be. And yet, some of these same people who are changed by my work are the most angry or upset when this very human and flawed author does not live up to their imagined standard of spirituality or act as their desired role model. Let's look at the paradox here. The same people who say my books are powerful are offended when I am powerful in person. The books challenge them, but I am not allowed to challenge them. They say my books are fantastic because they are provocative, but when I am provocative it is somehow offensive. I often wonder if male authors would be held to the same standard? I think not. Female authors are supposed to behave in a ladylike fashion. We are the women you want to have tea with, right? And so-called spiritual authors are held to an even higher accounting. We aren't supposed to feel anger or swear or defend ourselves in public. We are supposed to sign our correspondence with "love and light" and "blessings dear one" and be neutral and zen in the face of opposition. Yet my books are not wrapped in rainbows and covered in flower petals. They are hard hitting, love them or hate them. They force you to think, feel, conclude. They push your envelopes and ask you to grow beyond what you have been taught and challenge what you believe. Both The Book of Love and The Poet Prince open with prologues that contain gruesome death sequences. Simon and Schuster asked me to tone down the extreme gore of The Poet Prince opening and I refused. It was necessary to impress the theme about the dangers of fanaticism. These are not Harlequin Romance novels. They are written to change you from the inside out, to make you weep and even retch with remembering, if I have done my job properly. Now, with that in mind, do you really think I write like Mother Theresa, or that I should? Because here is the thing: you can't have it both ways. Either you want my work to change you and to elevate the way you think about the world and history through the challenges I present, or you do not. You either want to understand that women have the power to change the world - because they have and they will continue to, in many different guises and personalities and approaches, - or you do not. But it is not a shrinking violet who creates books like this. It's a warrior. Most people cannot begin to imagine what it takes to spend 20 years of a life devoted to finding and telling these stories. It sounds glamorous, but if you have ever watched an Indiana Jones film, you know that Indy has to fight a lot of bad guys and survive a lot of perils and pitfalls before he finds the Ark and the Grail. Dorothy has to kill the witch before she is killed by her, and only after showing that kind of courage and willingness to die for what is good and right will she be given the knowledge that she seeks. That is the nature of the Hero/Heroine's Journey. Wisdom, understanding, knowledge, secrets, all must be earned. That quest has caused me to risk everything I am and have over two decades. It cost me my first marriage, many relationships with family and friends, every penny I have ever made, and risks to my physical and emotional well being that are more extreme than the fiction I write. And yet, I took those risks because I had to. I took those risks to write the books that have changed so many lives. And sweet, demure women do not take such risks. Go watch Raiders of the Lost Ark again and witness Marian in the scene where she takes on Nazis in her bar in the Himalayas. THAT is the kind of woman who does this work. The kind of woman who literally spits in the face of evil, even though she is clearly scared to death. Which I often am. But it doesn't stop me because I cannot let it. Jane Austen I am not, and I do not aspire to be. Marion Ravenwood... now we're getting closer. 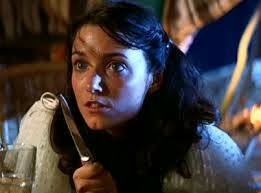 But the truth is, most of us only like Marion Ravenwood when she is safely on our movie screen. If she is in our living room, or even on our Facebook feed, she is unspiritual, unfeminine and downright scary. Attaining the information to write these books is only the first part of the journey. Once the knowledge is attained, it then has to be put into a written form that can be assimilated, digested and hopefully enjoyed by readers around the world. These books do not write themselves. They require years of devotion, years of juggling raising three kids, figuring out how to feed them, educate them, be their full time caretaker while at the same time pursuing truths that can change the world and inspire people in heart and soul - and write 165,000 word manuscripts that are worthy of worldwide publication. I haven't slept through the night since 1995. Fact. Anyone who knows me well or has roomed with me on a tour or research trip can jump in here and attest to the fact that this is not an exaggeration. I simply do not have time to sleep. I am writing this right now at 3:00 am, because the middle of the night is MY time. The computer is on my lap in bed, because hopefully, once I finish this particular piece of writing, I might be able to get an hour or two of sleep before waking up at 5:30 am to make breakfast for my son and get him to school before starting my day all over again. Maybe. The criticism I receive the most often - although usually it appears on discussion boards or my detractors' Facebook pages - is that I am somehow a hypocrite or liar because I "do not live The Book of Love." I often wonder if those critics have actually read that book, because if they have, they will know that it is the story of one of the greatest female warriors of all time. Matilda of Canossa challenges the laws at age 13 when she begins training in arms, goes in to her first battle at 16, and leads her first army at 18. Her battle strategies were so brutal and so brilliant that General George Patton carried a book about her approach to war with him while on campaign. Women like Matilda of Canossa and Joan of Arc led armies into battle to defend the very histories and principles that I write about. They carried swords and they used them - they hacked men to pieces and became very bloody in a wholly unfeminine and (apparently) unspiritual way. That is the nature of battle. It isn't pretty, but it is often necessary. And if Joan had not fought brutally, the battles of Orleans and Reims would not have been won and European history and geography might look very different today as a result. with the sword that she was not afraid to use. Was Joan of Arc unspiritual? She was told where to find her sword - which she was to use in acts of war to hack her opponents into mutilated bits - by St Michael the Archangel himself. But if she were alive today in the 21st century, she would be vilified on the internet for not behaving more like Doreen Virtue - for not being pretty and soft and ultra-feminine all the time in her pursuit of angelic understanding. 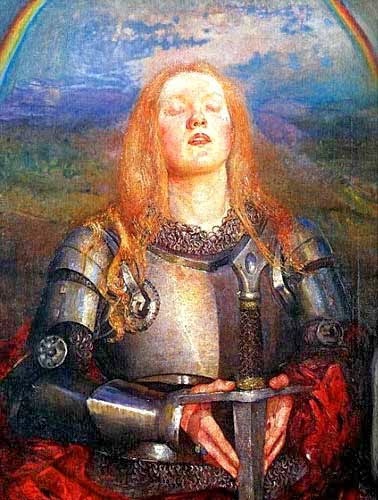 And NO, I am not comparing myself with Joan of Arc,or even Doreen Virtue. What I am doing is saying that there are many archetypal role models, and most of mine are warriors who by their very nature have, and require, an edge. And that shouldn't be a bad thing. So I ask the question again: would a male author be held to the same standard of behavior? Because this is a sexist issue, like it or not. Finally, after nearly two decades of questing, juggling, writing, risking, rejection, insomnia, chest pains, pneumonia, divorce, and financial hardship, my books get published and distributed worldwide. And then comes the horrifying revelation that the battle has just begun. 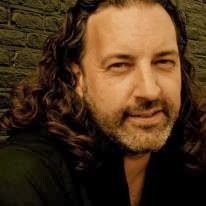 I have spent every day of the last eight years defending my work and myself against every kind of detractor, from pathological plagiarism accusations to physical theft to very serious death threats. 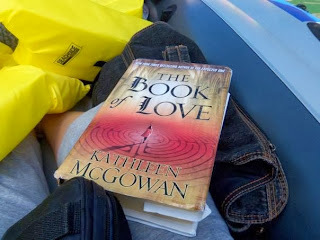 The book tour and launch party for The Book of Love in 2008 had to be canceled by my publisher for security reasons, and I had armed body guards and police support with me on every tour stop for The Expected One in the United States. I have had more cease and desist letters and restraining orders written in my defense than most would ever believe. This is not work for the faint of heart or for "ladies who lunch." This requires - this demands - true grit. I don't have the luxury of perfecting the Downward Dog or practicing mantra. I'm too busy in my lawyers' offices. So I repeat: you can't have it both ways. Now, imagine if Indiana Jones had died in Marion's arms at the age of 41 - not fighting evil or on an epic quest for the truth, but of an insidious and horrible disease that destroyed his once strong adventurer's body before her eyes, until it finally robbed him of his last breath as she held him. It might make her edges a little sharper, her exterior a little harder. One could hope that people might remember that as strong as she is, she still lost the love of her life and had her heart ripped from her body in a way no different than if the Thuggee in the Temple of Doom had done so with his bare hands. One could hope that compassion for the tragedy of her journey just might remain in the hearts and minds of those who encounter her along the path. But that is rarely the case. Sympathy has a short shelf life, whereas grief and its after effects are enduring. five months after our wedding in 2012. You do not have to love me to love my books. This is about the message over the messenger. But perhaps this note will at least give those of you who cluck your tongue at me for my "unspiritual" behavior pause to consider the amount of blood it takes to actually accomplish this task. 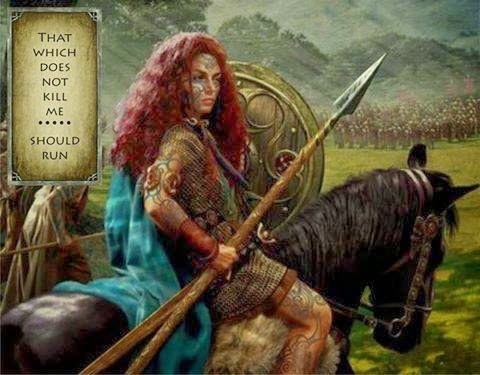 Each of my novels is emblazoned with the motto of the warrior queen Boudicca - who slaughtered the Romans without mercy - and that is THE TRUTH AGAINST THE WORLD. I am often told by "very spiritual people" that I need to change that motto to "The Truth For the World" or "The Truth in Service to the World." No, actually. I don't. Because I am not Doreen Virtue or any other spiritual leader or guru or Hay House author, with all due respect to Doreen, who I am sure is very lovely and I happen to have several decks of her beautiful and inspirational cards, thank you very much. What I am is an unapologetic warrior. And true warriors do battle for what is good and protect what needs to be defended - which is what Michael the Archangel taught Joan. Warriors of light and love do battle AGAINST the Dark Side of the Force. They spit in the face of Nazis who would try to steal the holy medallion. They do not send them love and light. They do not "go with the flow." When the literally gigantic tyrant general, Holofernes, oppressed the Israelites and killed the innocent, Judith and her maidservant hacked his head off while he slept. Guess what? That ended the oppression! 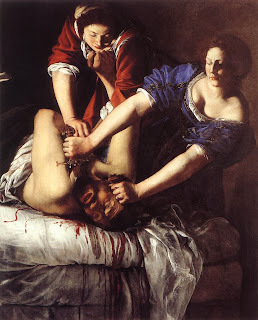 Judith and Holfernes, by Artemisia Gentileschi. without even knowing who Judith was or reading the message! "Take me off the goddamn pedestal. Come stand beside me and fight this battle with me so that we might both get out of this alive and defeat evil in its many forms, be it lies or oppression or trafficking or sexism. Or not. But if you aren't going to join me... well, then get the hell out of my way because I have a battle to fight, and at least don't make it worse. But if you do decide to fight beside me, I promise that when the battle is over and won, I'll buy dinner and the first round, and you will have my loyalty." Well.. that's what I would say, anyway. Cue the John Williams theme music while I polish my armor with special attention to that place on my helmet that is engraved with The Truth Against the World. Are you coming with me, or not? Because my sword arm is itchy. the battle cry "The Truth Against the World"